NEWARK, CA--(Marketwired - Dec 1, 2016) - Kateeva, the OLED production equipment leader, today announced that President and COO, Conor Madigan, Ph.D., was named "Inventor of the Year" for 2016 by the Silicon Valley Intellectual Property Law Association (SVIPLA). To date, he is listed as an inventor on more than 100 issued and pending patents. Madigan was recognized for his pioneering work to develop a manufacturing equipment solution to mass produce Organic Light Emitting Diodes (OLEDs). OLED technology has revolutionized the flat panel display industry. It's the gateway technology for flexible displays that enable bendable, foldable and even roll-able consumer electronics products. In a breakthrough for the display industry, Madigan and his team at Kateeva commercialized the industry's first inkjet printer engineered specifically to mass produce OLEDs. The solution, called the YIELDjet™ platform, made high-volume OLED production cost-effective for the first time, giving display manufacturers an essential tool to accelerate their adoption of the transformative technology. The SVIPLA has extended the annual award since 1977. Recipients include individuals whose innovations have changed industries and created new ones. Among them are the inventors of the barcode, the blue LED, and other esteemed contributors to the advancement of science and technology. 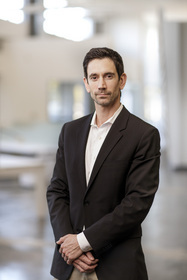 Madigan co-founded Kateeva in 2008 following a decade of OLED-related research at MIT, where he also earned his Ph.D. degree. Since then, he and the Kateeva team have accumulated more than 200 issued and pending patents surrounding the YIELDjet platform and related products. "Given the immense talent in Silicon Valley, selecting a winner was no easy task," said SVIPLA President, Carlos Rosario. "Conor is an obvious choice, however. Not just because his inventions helped set the display industry on a game-changing technology transition, or that he's perpetually contemplating ways to enable new display breakthroughs. But also because he combined technical ingenuity with practical execution. That's the difficult part. Pretty soon, when consumers can fold their laptops into a wallet-size square, or unfurl their smartphones to form a sturdy notebook, they'll owe much of that innovation to Kateeva. We admire how Conor has built a strong company to commercialize Kateeva IP, and we're thrilled to name him "Inventor of the Year". "I'm honored to be recognized by the SVIPLA," said Madigan. "Considering the caliber of previous recipients, I'm also humbled. We're proud of our role in helping display manufacturers shift to cost-effective OLED mass production and seize hold of a large new market opportunity. We did this in the time-honored Silicon Valley way: by applying innovation to solve difficult technical problems that conventional technology solutions couldn't master. Thanks to the efforts of everyone at Kateeva, we were able to deliver a complex product to customers that is highly enabling and differentiated by valuable IP. For that collective achievement, I share the accolade with my colleagues." YIELDjet is trademarked by Kateeva, Inc.
Kateeva makes breakthrough production equipment for manufacturers of advanced electronics technologies. The company has pioneered a precision deposition technology platform that uses innovative inkjet printing to deposit coatings on complex applications with blinding speed and superb accuracy. Technology leaders use Kateeva's solution to enable cost-effective mass production of flexible and large-size OLED displays, among other cutting-edge products. Kateeva is headquartered in Silicon Valley, maintains operations in Korea, Taiwan, Japan and China, and is backed by leading Venture Capital firms and other investors. www.kateeva.com. About this company Kateeva, Inc.